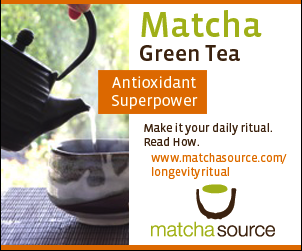 Finding where to buy green tea online can be overwhelming with so many brands out there. So to help people who visit to How-Green-Is-Your-Tea locate quality tea sources, I’ve compiled a list of retailers who meet my standards for ordering quality green tea. My reviews are based on great selection, reasonable price and good reputation in the tea business. I look for retailers who offer tea accessories such as teapots, tea cups, tea storage and other tea accessories. I also look for retailers who have secure shopping cart with SSL certification and various for payments, including my favorite form of payment, PayPal. Could be my favorite tea shop. American Tea Room offers a great handpicked selection of some of the world’s best teas and teaware. Great selection of green teas including loose, organic, bagged and macha. 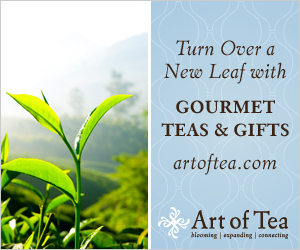 They have an amazing selection of tea accessories along with gift sets and gourmet food. Unparalleled customer service with rapid email response to questions/concerns and speedy delivery of orders. They also focus on unusual luxury goods, such as Japanese cast iron trivets and distinctive European teapots. They accept various forms of payment including American Express, Discover, Mastercard, Visa and Diner’s Club. Another one of my favorites. Art of Tea has an extensive selection of quality teas, including wide selection of green teas, as well as teaware and tea-related accessories. Art of Tea is based in Los Angeles, California. They hand blend and custom craft the world’s finest organic teas and botanicals. Their teas are carefully selected directly from growers, each one offering a unique story.